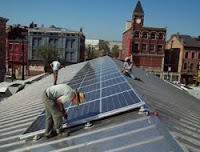 We’ve signed on with the Solar Electric Power Association to help with its marketing and media outreach. SEPA is the primary source of information about solar technologies and business models for electric utilities around the country. We’re honored to be on the team. We’ve begun our seventh year of training federal and state on-scene coordinators and international responders in risk communication and crisis media relations for the Department of Homeland Security. We’ve trained more than 1,000 senior U.S. Coast Guard officers, their international counterparts, representatives from government environmental and safety agencies and senior executives from the shipping industry. We're working with long-time client Construction Specifications Institute (CSI) on a brand new project, this time to promote the latest version of CSI's flagship MasterFormat™ product with architects, specifiers, engineers and other construction professionals. We conducted customized presentation skills training programs for more than 90 engineers and business leaders at the Idaho National Lab. PCG has a day-long program focused on helping scientists, engineers, financial and other professionals learn to make interesting and compelling presentations to nontechnical audiences by combining story-telling skills with messaging and practice. Just a few examples of what we do around here, besides blog.